I love sushi. I really shouldn’t have to write anything more, but really – I LOVE IT! The problem is… my husband doesn’t like like it much, so I don’t have it as often as I would like. So I decided I was going to make it myself and invite some girl friends over so they could enjoy some too. I have now made it 3 times and this one is my favorite! Enjoy! 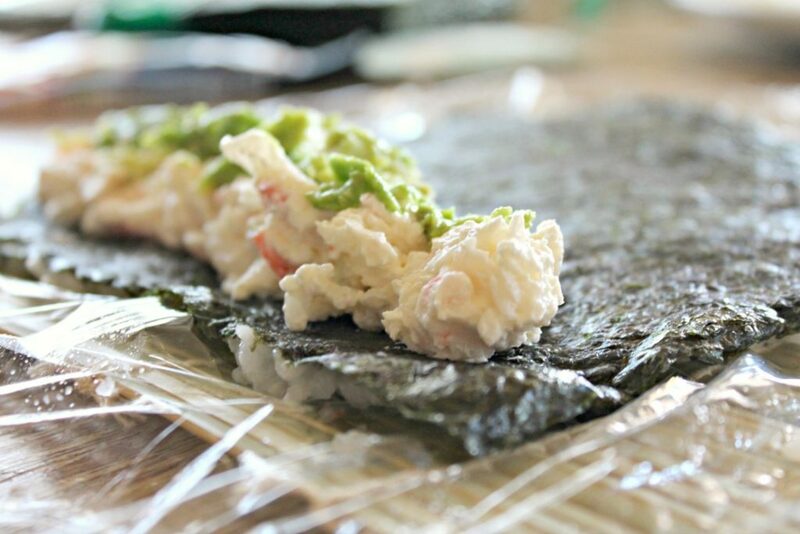 Things you need to make homemade sushi: white rice, 8 ounces of imitation crab, 8 ounces of cream cheese, 2 avocados – cut into little squares, square seaweed you can find the kind I got HERE, sushi mats you can find mine HERE. Cook rice in a rice cooker and cook according to the manufacturer’s instructions. A rice cooker is the best way to get perfect sticky-firm rice, but if you don’t have one, you can use a saucepan. 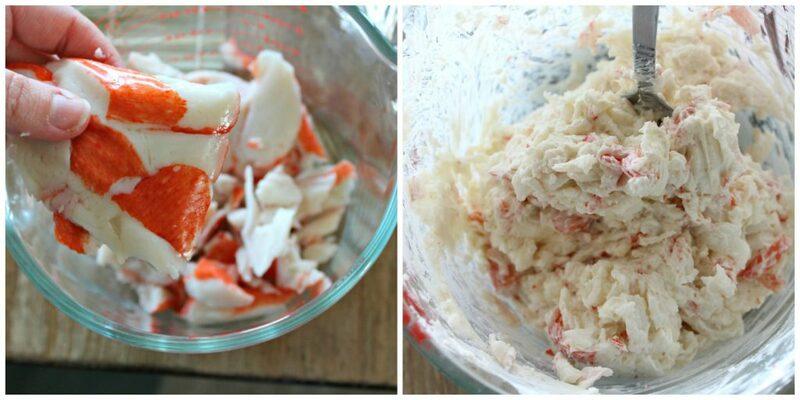 While the rice is cooking, shred your imitation crab and mix it with cream cheese. 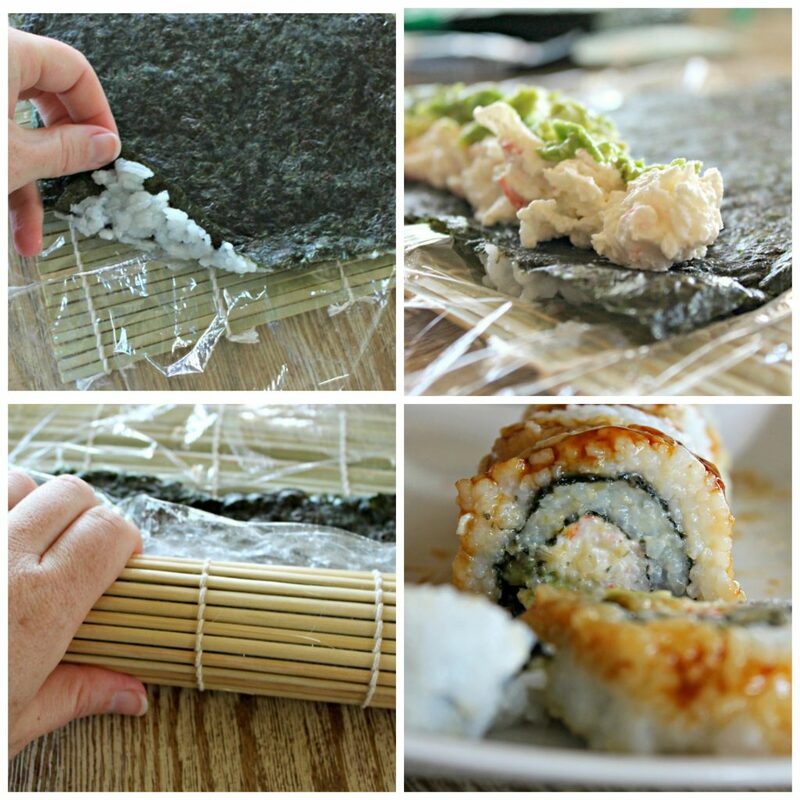 Cover a bamboo sushi mat with plastic wrap. Place a sushi sheet rough-side up on the mat. 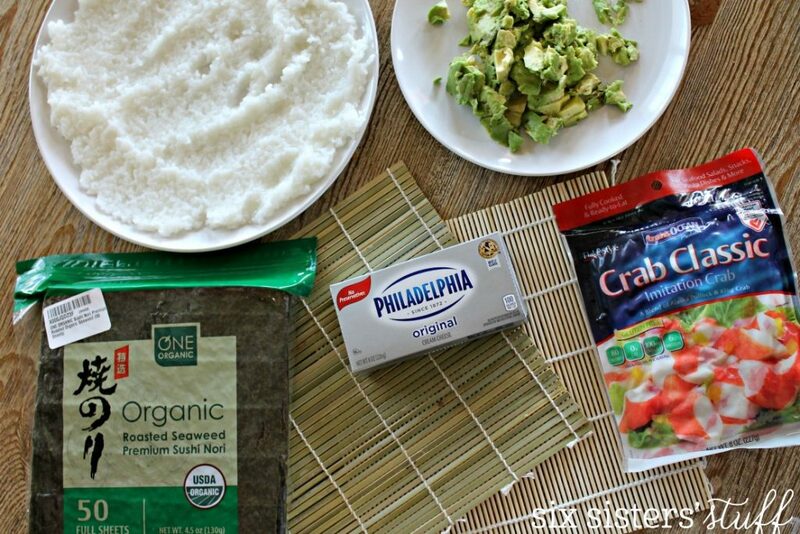 Moisten your hands and scoop a handful of rice onto the seaweed. Press the rice to spread it evenly up to the edges, moistening your fingers as you go. 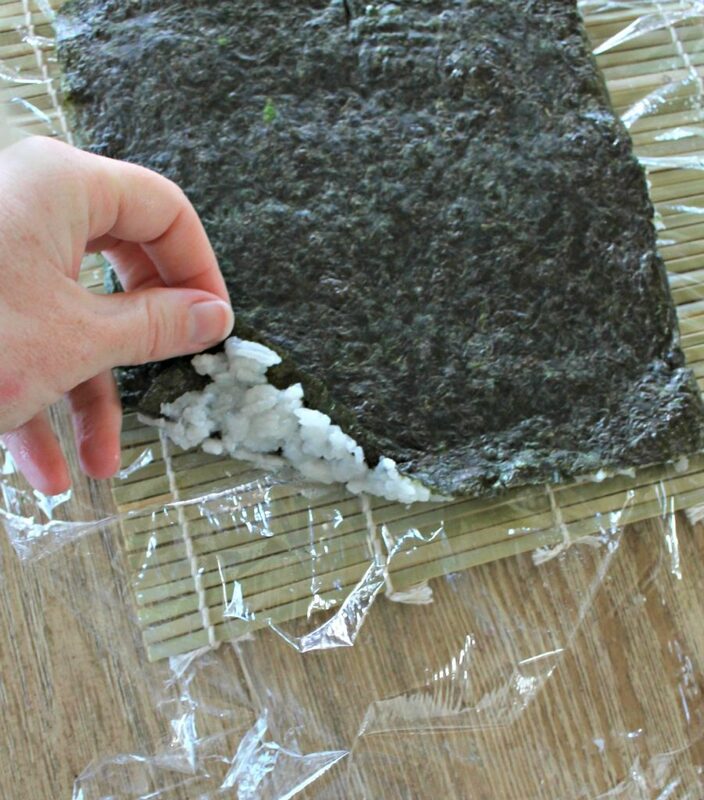 Press the rice to spread it evenly up to the edges of the nori, moistening your fingers as you go. Using both hands, carefully flip the seaweed over and put the rice on the bottom. 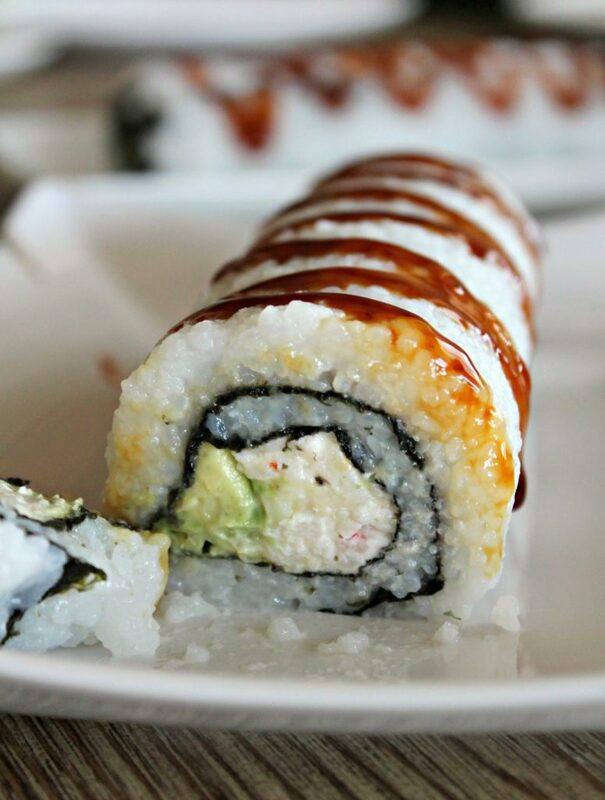 Scoop some cream cheese mixture and avocado onto the sushi roll. Roll the sushi away from you with your hands, tucking the insides as you go. Roll a little, then unroll and pull plastic away so it won’t roll up into the sushi. Then roll again. Repeat that process until it is all rolled up! It doesn’t look too pretty on the the edges, but once you cut it, it looks amazing! Cut the sushi into 6 pieces. 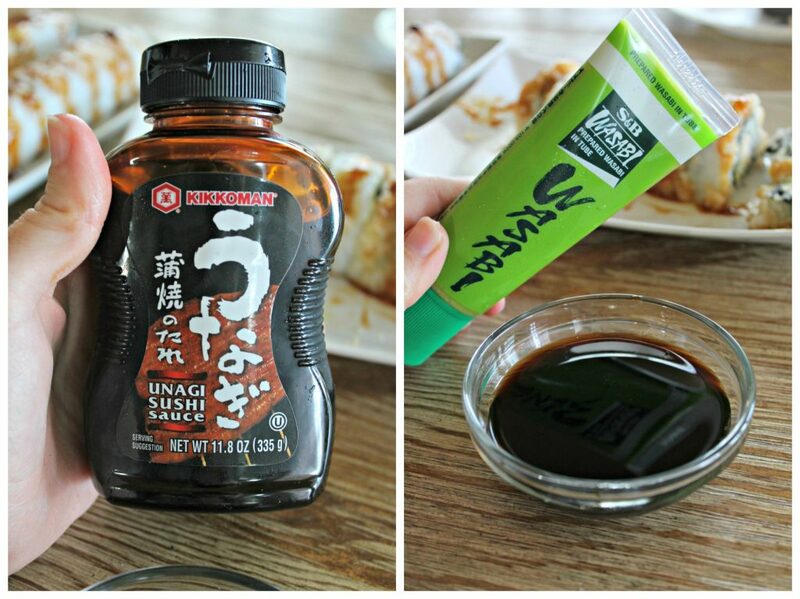 I love my sushi with Wasabi (you can find a tube of it HERE), an AMAZING sauce called Unagi Sushi Sauce (you can find it HERE), and soy sauce. Some people love to eat it with ginger, but I don’t love it so it isn’t pictured. Ha Ha!!! Cook rice in a rice cooker and cook according to the manufacturer's instructions. 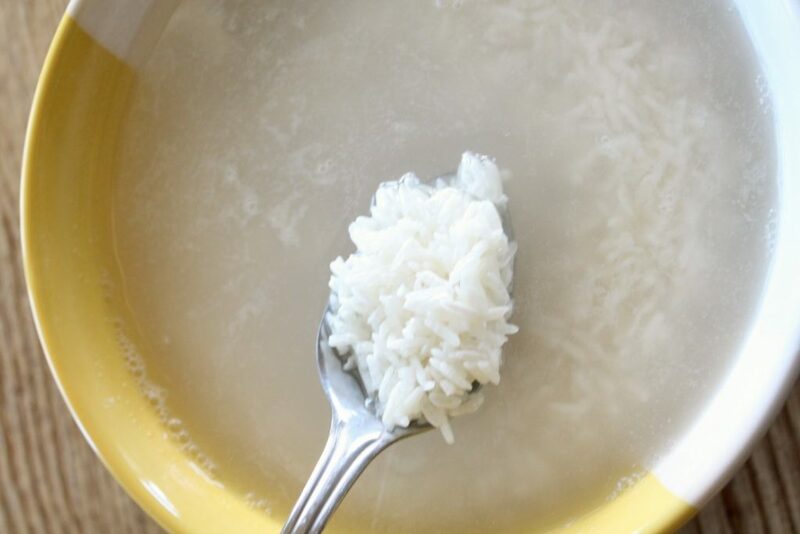 A rice cooker is the best way to get perfect sticky-firm rice, but if you don't have one, you can use a saucepan. Cover a bamboo sushi mat with plastic wrap. Place a seaweed sheet rough-side up on the mat. Roll the sushi away from you with your hands, tucking the insides as you go. Roll a little, then unroll and pull plastic away so it won't roll up into the sushi. Then roll again. Repeat that process until it is all rolled up! 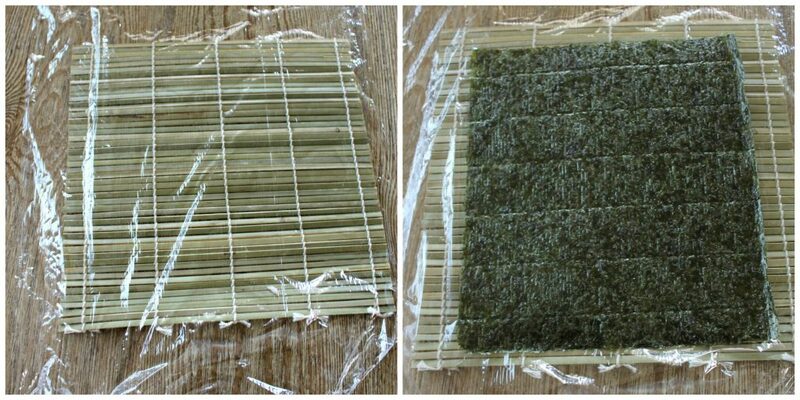 A couple tips I'd like to share- If you split each nori sheet in half you'll avoid the "double wrap" you have. The rolls come out smaller and easier to eat. Also, traditional sushi rice is seasoned with vinegar and sugar. 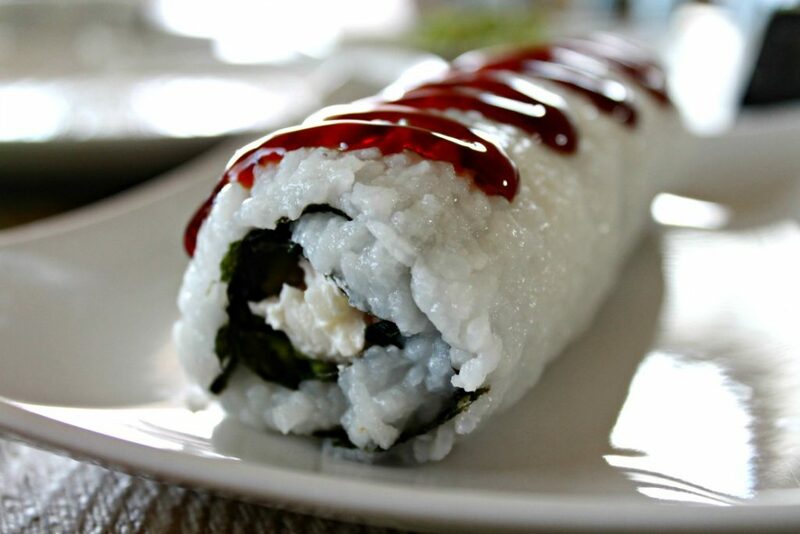 : ) I never thought about making the filling with cream cheese- I like that idea- I normally use Japanese mayonnaise for CA rolls and cream cheese for philly rolls., but I'm definitely going to give that a try! Hi Katie, Thanks so much for the helpful tips!! Thank you for the step by step recipe. It was easy to follow, even for me ;). I made it and it was delicious and closely resembled sushi. I was just missing the bamboo sushi mat, so the sushi came out a bit larger. Thanks again!